Rare is the community that can offer something for everyone, but Brockville, City of the 1000 Islands, is that rare gem. Whether you’re looking for your dream home on the river, a carefree luxury condo, an immaculate family home on a quiet neighbourhood street, a Victorian mansion, or a historic stone home on acreage, you can find it within minutes of the city centre. No matter where you live in Brockville, you are never more than a short drive – or even a walk – from where you want to be: waterfront parks, walking/bike trails, marinas, stores, restaurants, art galleries, theatres, schools, athletic fields, athletic clubs, wheel-chair accessible play structures, splash pads, skateboard parks, indoor arenas, outdoor ice rinks, golf courses … the list goes on. In Brockville, commutes are measured in minutes, not hours, leaving you more time for the things that really matter. 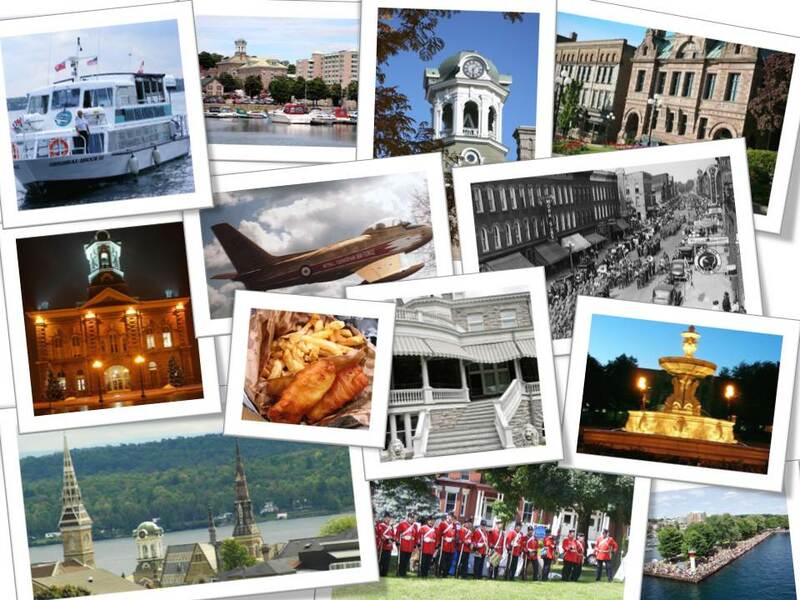 Brockville, City of the 1000 Islands, offers a lifestyle that is unrivalled in Eastern Ontario. While the soaring spires of our historic churches and elaborate architecture of our downtown buildings attest to Brockville’s place in Canadian history, look a little closer and you’ll see a thoroughly modern town. Brockville’s vibrant downtown boasts specialty stores, charming restaurants, and a historic farmers market, but head uptown and you’ll find a modern residential and commercial centre. Located within commuting distance to Ottawa and Kingston, Brockville offers small town charm with big city advantages. Patrons of the arts will find a thriving arts community in Brockville, from modern galleries and studio tours to the newly renovated Brockville Arts Centre. Considered one of Canada's finest medium-size historic theatres, the BAC houses a 700+ seat auditorium that welcomes guests to amateur and professional theatre productions, concerts, comedians, and music festivals. Brockville's location on the banks of the majestic St. Lawrence River and the edge of the Frontenac Arch Biosphere Reserve, one of a small handful of UNESCO World Biospheres in Canada, makes it an outdoor enthusiast's playground paradise. Our municipally owned islands are a popular weekend destination for water lovers. The area is crisscrossed with walking, hiking and cycling trails and dotted with golf courses. The Brockville Country Club becomes a second home to many offering a premier Stanley Thompson golf course; a six-sheet curling rink; fine cuisine; plus meeting, banquet and social activities to our community year-round. The river, home to downtown Brockville's deep-water municipal marina, offers unparalleled opportunities for kayaking, canoeing, fishing, sailing, and some of the best fresh-water shipwreck diving in the world. Most notably, we are home to the Aquatarium where guests participate in hands-on interactive exhibits as well as seeing many species of fish and animals, such as otters, native to the St. Lawrence River. Visit the items in the left hand menu or the City links below.